The lily belongs to a genus of herbaceous flowering plants that produce beautiful flowers from large bulbs. Lilies play an integral role in culture and literature throughout the world. Most species grow in the temperate regions of the northern hemisphere. Many other plants have the name “lily” in their name, but none convey the meaning of true lilies. Lilies have a long and storied history that traces back to Ancient Greece. The Greeks viewed the lily as having directly come from the milk of Hera, wife of Zeus. As a result, the Greeks revered the flower for its association to Hera. According to Roman legend, Venus rose from the water and became envious over the beauty of a lily she saw. In fact, Venus felt threatened by the sheer beauty of the flower insomuch that she gave it a pistil in the hope of making it less attractive than her. In the Catholic tradition, a white lily symbolizes the purity that is commonly associated with the Virgin Mary. Other kinds of lilies developed different associations and meanings over time. 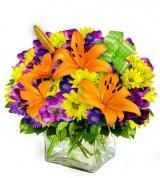 For instance, the Peruvian lily developed the meaning of friendship, while white stargazer lilies communicate sympathy. 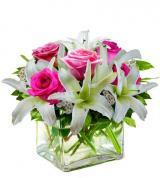 Pink stargazer lilies are associated prosperity and wealth. In addition, lilies of the valley have become a customary gift on the second wedding anniversary of a newlywed couple in order to convey devotion and humility to each other. 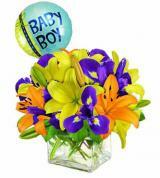 Lilies are often given at many occasions, including weddings, funerals, and during the birth of a child. 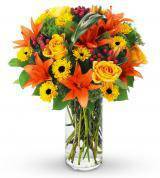 Avas Flowers provides nationwide flower delivery on a wide selection of premium flowers. 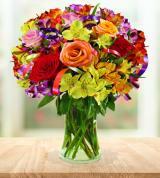 We boast an assortment of beautiful blooms in every color imaginable. 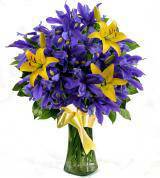 We also supply assorted colors in our bouquet of lilies if you wish to order and send those to your loved ones instead. We have lilies for sale at competitive prices. 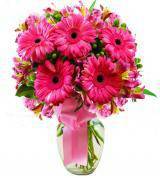 No other florist compares in their ability to provide better flowers at the lowest price possible. 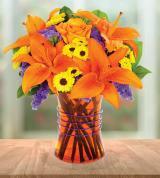 Same-day delivery on select lilies for sale may be available if you place your order before 2 p.m. local time. Our same-day delivery policy varies according to the individual driver’s route and destination. 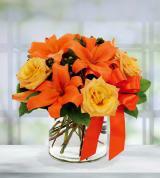 We do our very best to provide exceptional service to our customers when they buy one of our bouquet of lilies. In fact, we are committed to customer satisfaction and promise to re-deliver another bouquet to your doorstep if you are unsatisfied with your product and notify us within seven days. No other florist comes close in providing our level of customer service. 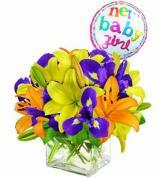 Avas Flowers offers a beautiful selection of lilies. 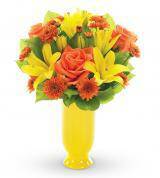 Bouquet arrangements may include any type of flower you wish. 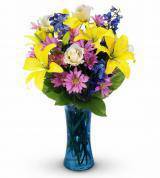 Why shop at other florists for lilies? Delivery estimates range according to availability and location. 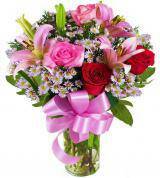 We arrange many lily bouquets that will convey how you feel to that special someone. 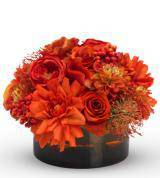 We also carry floral arrangements and gift baskets that will set the mood for any occasion. Don’t wait any longer to buy lilies online. If you have any questions, feel free to give us a call at 1-877-638-3303.